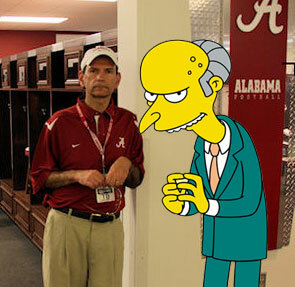 Q: Recently, sportswriter Paul Finebaum and his celebrity doppelganger C. Montgomery Burns dropped by the University of Alabama for the annual A-Day Game. Can you tell which one is which? ← Previous Previous post: Yub-Nub! Next → Next post: Fight! Fight!